The all-new YXZ1000R SS doesn’t just reset the bar for sport side-by-sides, it is proof that Yamaha is the leader in powersports performance. Featuring a new 998cc inline triple engine, massive FOX Racing Shox® suspension front and rear, and styling the competition can’t touch, the new YXZ1000R is in a class by itself—the only true pure sport side-by-side ever developed. The YXZ can be rented along with our UTVs, RZRs, and ATVs. 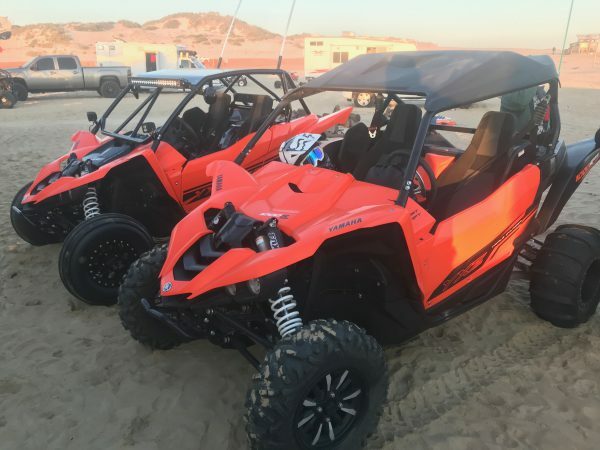 Rent the YXZ & head to any of the local riding areas; Hollister, Carnegie, Frank Raines, Cow Mountain, Stony Ford, Glamis, or Pismo!